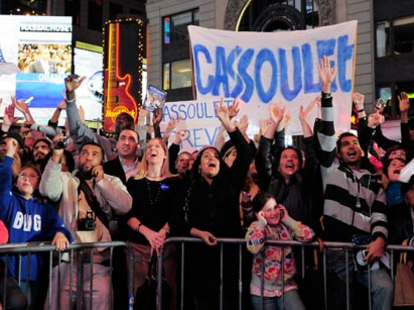 Or rather, “Who is Cassoulet?” as George Stephanoulos questioned on ABC when a large banner bearing the word was held above the crowds gathered in Times Square during the station’s election night coverage. 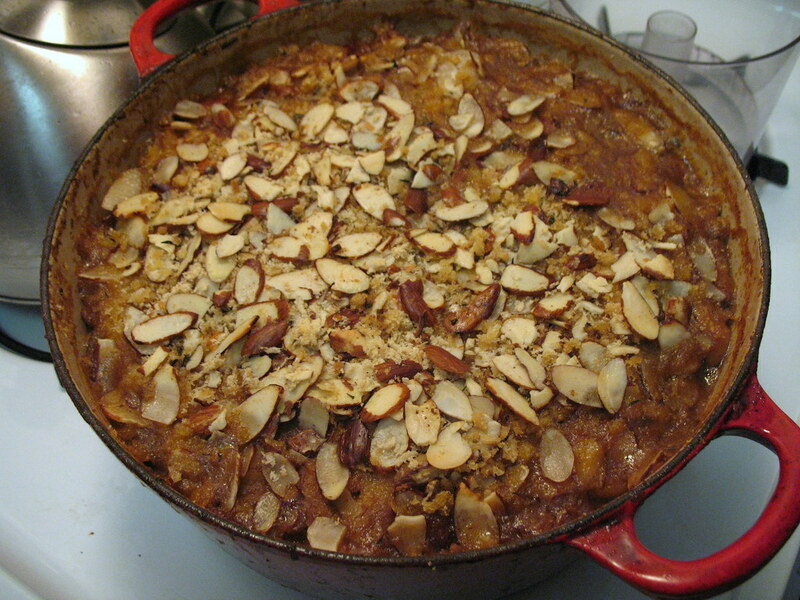 The question of cassoulet echoed throughout the world afterward, as the word rose to the top 100 most searched terms in Google on Election Day 2008. I didn’t know what cassoulet was, either, and I completely missed this bit of intrigue at the time. I first heard of cassoulet when it was announced by Jimmy Carbone as the dish to prepare for a cook-off at his restaurant, Jimmy’s No. 43, to benefit the Greenmarket. It takes place tomorrow at noon! Anyway, while I soak, sear and simmer away, I hope you’ll plan to join us tomorrow for a hearty winter lunch. The cook-off begins at 12pm at Jimmy’s No. 43, in the East Village, and your $20 donation to the Greenmarket at the door will get you all the homemade (and chef-made, looking at some of the contestants — yikes!) cassoulet you can eat. My cassoulet, I’ve just decided, will be based on apple: apple cider, some chunky apple compote I have in the freezer from previous apple escapades, and lots and lots of pork! I’ll call it Pommes de Porc. 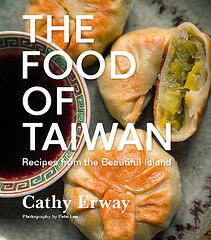 The recipe will be posted on this blog shortly after the event — it still exists only in fantasy. Which means I should probably get back to cooking. Vegetarians: I’m told that one cook-off chef will be making a vegetarian cassoulet, so don’t be shy! I’m surprised that this was something not many people knew! I just thought cassoulet was a given. I have tons of veggie cassoulet recipes, because I couldn’t quite give up on my favourite languedocian dishes when I went back to being a vegetarian. Thanks for the awesome cassoulet today! It was a perfect day out for warm pork, bean, vegie mix! Yours was definitely a winner… I really liked the almonds on top as well. Cassoulet is a meme. And what a delicious meme it is! How’d it go? I been craving cassoulet since reading Saveur, but couldn’t make the cassoulet cook-off. This is blasphemy! 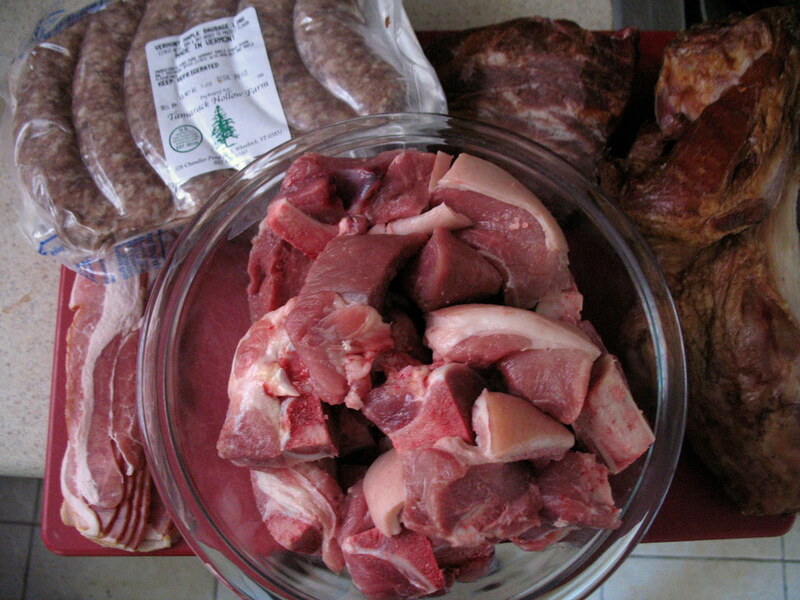 I come from France and for us, making a cassoulet whithout what we call “haricot blanc” (white beans) or “flageolet” and big chunks of pork meat is a crime that calls for extreme punishment!!! ^^ anyhow your idea of a veggie cassoulet-like dish with apple seems quite interesting!! bonne journée a vous et surtout bon appétit! I have to agree with Paul. I was also had misgivings about the pumpkin seeds on top, but since it’s not a true cassoulet, I suppose its okay. Check out women’s magazines or online auction sites for information. the Germans,” Mata Hari allegedly turned on her renowned charm and asked Reilly if they had not met before, possiboy India.